Pacharán is a sloe berry-infused liqueur with ancient roots in the Basque Country. There are many commercial versions of pacharán, but the Acha family uses a 150-year-old recipe. Local sloe berries, hand-picked from the hills known as Sierra de Orduña in the Basque Country are macerated with a triple-distilled alcohol. For every kilogram of sloe berries, about 3 liters of pacharán is made. Another batch of this alcohol is used to macerate three types of anise and is then redistilled in 130-year-old copper pot stills. 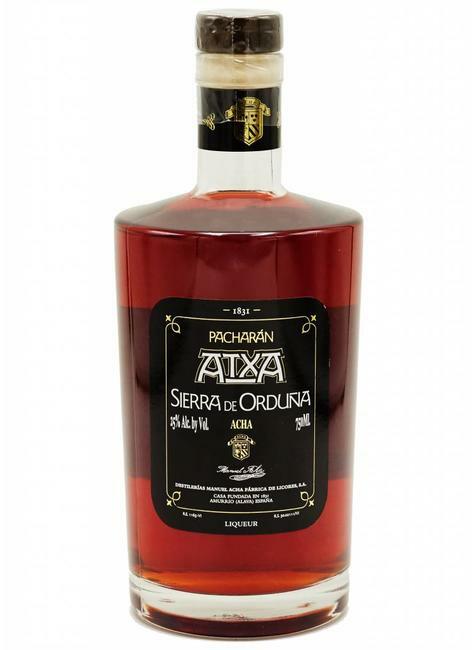 These two products are blended with sugar and alcohol to create Sierra de Orduña Pacharán.